Methocel* K 100M USP (Hypromellose 2208), 2.5 Kg. PREMIUM USP grade. Methocel K 100M USP (Hypromellose USP 2208) is an inert polymer used as an ophthalmic lubricant, a controlled-delivery component and an excipient in oral medicaments. 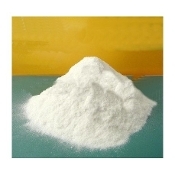 Additional uses as a food additive include the application as an emulsifier, suspending agent and thickening agent.